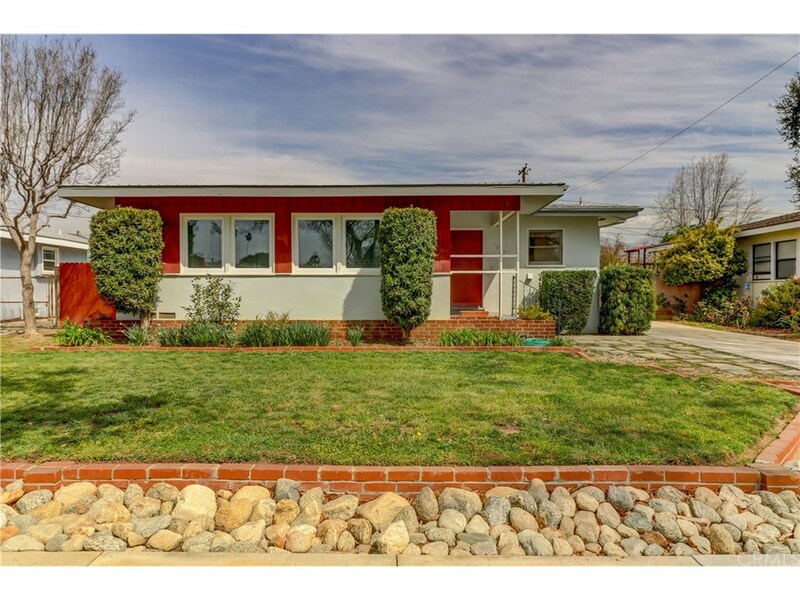 Can't you just picture yourself in this charming MIDCENTURY MODERN home? The ORIGINAL OWNER has retained much of this homes charm and has decided it's time for a new owner to make it their home to love and create their own memories as her family did. There are 4 bedrooms (1 is not permitted and could be used as a den) with 1.75 baths (3/4 bath is not permitted). The CUL-DE-SAC LOCATION is centrally located to the UNIVERSITY OF LA VERNE, Grace Miller School, OLD TOWN LA VERNE, KUNS & PELOTA PARKS. There are a couple of the bedrooms with the original HARDWOOD FLOORS exposed and TWO FIREPLACES: One in the living room and one in the den/bedroom addition on the back of the house. However, as we get closer to the summer months, there is an inviting POOL to enjoy those warm sunny California days. There are DUAL PANED WINDOWS ON THREE of the BEDROOMS. There's also a SPACIOUS STORAGE SHED behind the detached garage. House and Lot Square Footage per County Assessor and seller. All information to be verified by buyers.